We can have this sense of non-discrimination; we can allow everything to be what it is at this moment, like the Bodhisattva Avalokiteshvara listening to the sounds of the universe. You can have this attitude of letting go, of relaxing, of non-attachment, of nothing to do, of nothing to attain, of nothing to become. And yet you can be alert, awake, attentive, receptive. We can be aware of external things — the sounds or the temperature, what passes in front of our eyes, odours, sensations — at the same time being aware of what is happening inside — maybe our reaction to that fire alarm or whatever it was that went off a few moments ago. Maybe you think that the traffic passing outside is too noisy. Being aware of reactions to conditions gives us this huge space to be aware, both of the way things impinge on our body and mind, and our emotional reactions to them — liking, disliking, wanting, not wanting, approving, disapproving. Our position now is being this awareness itself, rather than trying to control the situation according to what we like, just allowing everything to be the way it is, being this knowing, this infinity, this pure conscious, non-personal reality. I am pointing to, say, infinity or that which is immeasurable, and I feel this is very important. So much vipassana (insight) that is taught is a kind of obsession around impermanence. People that are doing vipassana courses are told to contemplate impermanence (anicca) which is good instruction, certainly, but (this is just my impression, anyway) they are so busy noting impermanence, they don’t notice the very noting itself, the awareness itself. It’s like following instruction to notice that all conditions are impermanent. You get the idea, and then you think thoughts are impermanent, sounds are impermanent, body obviously, seasons, times of day and night, subtle movements — it gets into subtleties of just emotional states or subtle feelings in the body, energetic experiences — but it is that which is aware, this awareness itself, which is the path. It’s as simple as that! Awareness, mindfulness, is the gate or door to the deathless, and the deathless has no boundary, it is infinite, it isn’t subject to birth and death like conditions are. So, what is the reality? I mean, is the deathless just some kind of metaphysical theory? Is it about metaphysics and belief? Some people don’t even like that word, ‘deathless’. Some people in the Theravada school just want to believe that everything is impermanent, and that’s it — it’s all impermanent! There is a kind of dismissal of experience; that is how they read the scriptures. To say that everything is impermanent, however, is not a doctrinal position to take. One can grasp that as a doctrine — If you’re a Buddhist you have to believe everything is impermanent. — But that isn’t the point, is it? There is no value in believing that everything is impermanent. If you are going to believe in things, believe there is such a thing as unconditional love or something like that, which is at least rather beautiful to believe in; that can bring you much more happiness. But in vipassana there is this ‘investigating’, this ‘looking into’; words like ‘reflecting’, ‘observing’, ‘noticing’ are used in the Pali Canon; there is nothing there about believing in doctrines. There is no position that you have to take. You don’t have to accept some kind of stated teaching that you hold to, and then experience life from that position. If the Buddha is pointing to awareness and says ‘wake up’ and ‘be aware’, that isn’t a doctrine, that is an immanent act. Waking up is not just saying, ‘I believe in waking up.’ That sounds like a British comedy, doesn’t it? Then there is the immeasurable such as space, consciousness, nothingness, neither-perception-nor-non-perception. These, in Theravada, often get relegated to very high attainments. You get the four jhanas and then the four immeasurable jhanas. When I first came across this, I struggled with it. Reading from the Visuddhimagga, The Path of Purification, I just wilfully tried to get the first jhana. But I am not a faith person; I have a sceptical nature. In Thailand the village people tend to have a lot of faith in the teacher. The villagers around Ajahn Chah had tremendous faith in anything he said. They would just believe it. If Ajahn Chah said do this, concentrate on this, they would just do it, never questioning, and then they would get jhanas! If he said to Western monks do this, do that, they would say, ‘Why? What’s the point?’ We might wonder, ‘Maybe he doesn’t really know.’ We would start questioning the teacher, his teaching, or the monastery. You might be concentrated, going into absorption, but if you doubt it, it disappears, just like that. You have to completely believe in what you are doing without doubt. Sceptical doubt is one of the destroyers of these states. Having a sceptical nature, I couldn’t do it through just following instructions from the teacher because I tended to think, ‘Well, I don’t know whether the teacher’s right.’ But, rather than debating this endlessly, one can explore doubt. 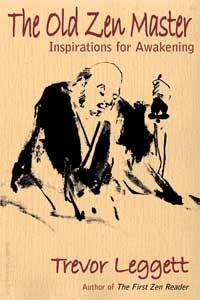 The hua-tou in Chinese Buddhism and the koan in Zen, for example, are ways of dealing with doubt. You can deliberately cultivate doubt, and then when you explore it, it stops the thinking mind. You can’t figure out these koans. You never come up with the right answer to koans because they don’t make any sense on that level. You could spend a lifetime trying to figure out: What is your original face before you were born? But what that does, or any question, actually, is stop the wandering mind. What is the answer to, say, ‘Who am I?’ If you ask yourself a question, there is a gap, there is a space where you are not thinking. You are deliberately asking yourself a question and consciously noting the absence of thought. This was a way I found useful to me because of my sceptical nature. I used this sceptical tendency as a skilful means. Then I began to recognise infinite space. Space is around us all the time, just visually. It was a completely new discovery for me, ‘Of course there’s space,’ I would say, but I never fully allowed myself to be spacious; I just took it for granted. But space is that which allows everything to be. The space in this room is an important thing. We would not be able to use this room if there were no space in it. By withdrawing one’s interest and one’s fascination for the people and things in it, we can see that space has no boundary. Where does it end in terms of now? We can contemplate consciousness in the same way. Consciousness seems to be a big subject these days, and nobody in the Western world seems to quite know what it is. There are a lot of theories about it. The point is, we are all conscious at this moment. It is a completely natural state; it isn’t an artificial state. You don’t create consciousness, do you? I can’t claim I create my consciousness. Consciousness isn’t male or female or anything other than consciousness. It doesn’t seem to have any boundaries to it. But I create things into consciousness, like my thoughts. I attach to my thoughts, and emotions. I create myself, ‘I’m Ajahn Sumedho.’ That is a condition I create. So, with consciousness combined with ‘Ajahn Sumedho’, I interpret experience from this person called ‘Ajahn Sumedho’: ‘my life’, ‘my things’, ‘my way’, ‘my opinion’ . . . But with mindfulness, you begin to notice that the ego (sakkaya-ditthi) depends on thinking, on attachment to memory, to names, ideas and views. If you stop thinking, however, consciousness is still there and it’s intelligence, it isn’t a dull kind of trance, you’re not a zombie; it’s very bright. Consciousness is light, intelligence, attention; it doesn’t seem to have any boundaries to it. So, infinite consciousness is like this — no-thing-ness. When you recognise the non-thinking, non-attachment to thought or perception, then it is emptiness. There is awareness and consciousness together. It isn’t that awareness is not conscious; consciousness functions whether you are totally deluded or not. People can believe in the most absurd things and create all kinds of things through instructing themselves with delusions, false ideas, wrong views, self-centred attachments, opinions, prejudices — that is what people do, isn’t it? That is what wars are about. Consciousness is still operating, but it isn’t informed with wisdom, we are conscious but we are not awake and aware of how things really are; we are merely operating from conditioning. You can think that all Buddhists should be like Buddha-rupas. But Buddha-rupas are made out of bronze or marble; a Buddha-rupa is an ideal. It is beautiful but it doesn’t feel anything at all. We are in the state of feeling, of sensitivity, of consciousness. It is an unrelenting experience from birth to death in a human body, and the body is subject to all the things in the universe affecting it, over which you have no control. We end up trying to control things and protect ourselves because it’s all quite frightening in a way. It is terrifying when you think of your position in the universe and all the things that are affecting you at this very moment. So, we tend to restrict ourselves to things that we can handle, like beliefs, systems and conventions. 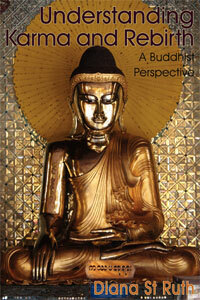 The Buddha, on the other hand, encourages us to investigate the way it is. And investigating is not judgemental, thinking that this or that is good or bad, but of seeing that it’s like this, and that all conditions are impermanent. Your way of looking and noticing feelings, your own feelings, your own thoughts, your energetic physical experiences, sensory experiences, is looking at them in terms of their characteristic of change rather than whether you like or dislike them, or whether they are pleasant or painful. Now, that which is aware of change — what is that? Can one condition know another condition? Can this condition know that condition? What is it that knows the condition? Is that a condition? This, of course, is an enquiry; I’m not expecting an answer. Some people say, ‘Everything is conditioned, so that which is aware is conditioned just like everything else!’ In terms of this moment, however, the here and now, that which is aware of the condition, aware of this clock is . . . ! What is that? That is consciousness. But I’m not even projecting anything on to this clock. I am just aware of it as it is. This awareness receives the clock and also receives everything else. I can focus on just this, or open up to everything so that the clock, you, the ceiling and everything is included, because you can concentrate on one thing and open to everything. This is samatha-vipassana practice. Samatha is the focussing on one thing, and vipassana is mindfulness which is open to non-discrimination, non-judging, non-selecting, non-choosing, and yet observing, being the knower, the observer. Now, this is recognition of the way it is, of dhamma (putting it in Pali terms); it’s like this. Space is like this; consciousness is this way. It is a fact, it is real, it is not believing or disbelieving any theories about consciousness or space, it is reality. There is nothing mysterious about space, nothing mysterious about consciousness, but it is recognised. I have used what I call ‘the sound of silence’ as a kind of background that is easily accessible. If you start developing or cultivating this, you notice it everywhere. I am aware of it now, talking to you; I am not having to shut my eyes and close you off in order to contact it. It is like space or consciousness; it is behind everything, and it allows everything to be what it is, because it isn’t discriminating, it isn’t judging or saying it’s good or bad, right or wrong. Whatever I am experiencing through this form at this time — it can be pleasant, painful, beautiful, ugly, right, wrong, intelligent, or stupid — it all belongs. Even stupidity belongs if that is what has arisen. You are recognising just the way it is. The deathless, immortality, the amatta dhamma, amaravati, or whatever you want to call it, is just this; it is awareness itself. This is what the Buddha was pointing to. This is the possibility that we human beings have. We are not just conditioned creatures, hopelessly trapped; we are not just helpless victims of the conditions that we have acquired. This waking up is something simple. It isn’t cultivating refined states, rising above and changing your conditioning. Maybe you had some pretty bad conditioning as a child, but then you got rid of that and cultivated more refined, more lovely, beautiful conditions to live with. But the ego can be involved, ‘I’m above it all. I’m beyond the vulgar herd. The world is much too coarse for me.’ If we live in a realm of very controlled refinement, we become like one of those Thai orchids. In the British winter we die if we are put outside; it is too cold! What the conditioning is, however, isn’t the point — whether it’s coarse, vulgar, refined, or whatever — all conditions are impermanent. This is the point. It isn’t in believing this but in exploring it, looking into it and seeing it for yourself. What is permanent? Can one condition know another? I have heard people play tricks with their intellect and form some idea that consciousness is a condition and is somehow above the rest of the conditions, and that consciousness therefore can know conditions as conditions, saying that consciousness is a special condition. Now, these are just words, admittedly, and we have to recognise that words are limited; they are created by us. ‘Consciousness’ is a word we have created, and so it isn’t a matter of trying to take consciousness and make it fit into our definition of ‘consciousness’; it won’t work like that. You are then just stuck with speculating about the nature of consciousness. If you trust in this awareness, on the other hand, then consciousness is just a natural state. When a baby is born, that newborn baby is a consciousness being; it’s a human body that is conscious. Consciousness is natural, it isn’t culturally perverted by anything. ‘Dhamma’ really means ‘what is natural’, ‘what is according to the natural law, the way things are’. You recognise that you are experiencing consciousness through a separate form — I experience through this body and the kamma of this being here. But if I realise pure consciousness, I have got perspective on the limitations and conditions of the physical body, the emotional habits I have acquired, memories, and so forth, of the self. Consciousness has no personal quality, I create the personal, and then consciousness is combined with a sense of being a person. If I let go of the person, however, there is pure consciousness, and it has no boundaries. This is like the immeasurable. Recognise that, to us, the universe is mysterious. There is so much we don’t know in outer space. We don’t even know what is in the middle of this planet or about other conditions that are contained in this universe. That is thinking again; that is conceiving, creating with words. We feel very separate from this universe — I’m here; you’re there. ‘We’re very separate in time and space. So, how do we know our metta practice is helping anyone?’ — I get asked this question all the time. ‘We’re spreading metta [loving-kindness], but how do we know it’s doing any good?’ We sit here, maybe, and say, ‘May all beings be free from suffering . . . ! . . I don’t think that’s doing any good, you know. Sounds pretty weak, actually, sounds a bit wet, doesn’t it?’ But one begins to see consciousness as unified — and you can’t think too much about it because it’s a mind-blowing experience — the power of consciousness, intelligence and wisdom is recognised. And love — love is unifying. We all long for love, to be accepted, to be loved, unconditionally. One begins to recognise that which is natural, not created by me, not created by Buddhism or any other religion, just dhamma, the way it is. This unity, this universe, this oneness, this consciousness, our relationship to that as a separate entity is seen in terms of dhamma rather than always regarded in the conventional way of, ‘I’m this person sitting here and there are people over there — those aliens, foreigners, refugees, all those people trying to get into England.’ We can see the world as a threatening place. In meditation we can begin to tune in on this universal level through letting go of the conditions, of this blind holding to conditioned phenomena. It isn’t annihilation or a rejection of anything; it is just releasing, relaxing from this intensity of fear and ignorance. We try to control and hold on to conditions without realising how painful and miserable it makes us. 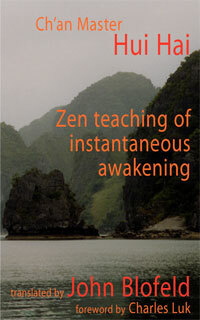 The Buddha advised us to see ‘letting go’ as opening, receiving, and nothing to fear. Space and consciousness, the sound of silence — you don’t create these; they are here and now. But we may never notice or observe them. As we recognise them, we begin to have perspective on conditions. In terms of living in society, we do good and refrain from doing bad. We can work for people’s welfare, if we wish, help the educational system, the health system, try to promote harmony between nations and harmony between religions — we can still do all these things. It isn’t that we’re too ethereal for dealing with anything practical. But we recognise conditions for what they are, and we are no longer coming from idealism. I used to be terribly idealistic. Eventually, I became disillusioned with every idealistic movement I ever participated in. It didn’t take long after joining some peace movement to see how unpeaceful peace movements can be. Why? Because peace is an ideal. Do people really want peace? If life gets too peaceful people get bored. A little excitement now and then is more interesting. Imagine a news programme where they say: ‘Well, today there is peace in Europe, peace in the Middle East, peace in Britain, peace in America, peace in Africa, peace in the whole world.’ Imagine hearing that day after day. You would stop listening, wouldn’t you? We usually want peace when we don’t feel peaceful, ‘Oh, I want peace.’ But do we really want it, or do we just want a life where we can get what we want and not have too many obstructions to our desires? If enlightenment is seeing things as they really are, is that what we really want? As an ideal it might sound great, but what are the realities of being this aware? There are certain things we would like to get rid of, but there are other things we’re very attached to, quite nice things. This is where, with vipassana, one sees the nature of clinging, not by just holding on to an idea that you shouldn’t cling to anything, but by observing what it is to really cling. Don’t be caught in the idealism of, ‘I shouldn’t be attached to anything.’ That is another attachment, another ideal. Buddhists should be compassionate and kind all the time. That’s an ideal. The realities of this moment are that if I am feeling mean and nasty and you say, ‘A Buddhist monk should be a moral example to us all, and you’ve been a monk for forty years. You should be beyond this petty anger and this mean-heartedness. I’m completely disillusioned with you!’ then I start to think, ‘Oh, I’ve let everybody down. My life has been a complete waste.’ And I feel sorry for myself. On the other hand, if I have this resistance to getting intimidated and feeling guilty about not having this Bodhisattva mind all the time, then what I am willing to do is really study being nasty. Determined not to let it out on others or the environment, I really cling to this nasty feeling, completely feel it, completely know it. Naturally, clinging to this feeling is dukkha. Wanting to get rid of it, feeling guilty about it, feeling I shouldn’t think like this, is also suffering. I have a very idealistic personality, so I don’t want nasty states. I want to be this impeccable, wonderful monk for you all the time — unrelenting, permanently compassionate and understanding. As an ideal I would like to be that for society. The realities of being human, however, are like this. Some days you can’t stand anyone. I have actually studied this grumpiness, this negativity, and also the guilt about it, ‘I shouldn’t feel like this. A good monk shouldn’t think like this.’ I have deliberately watched myself feeling guilty until, actually, I have really seen inside, into the suffering of clinging to a condition. Repression of feeling, denial and resistance is also clinging, it is not letting go, it is not resolving the problem; it is still attaching to feelings through aversion. You begin to see, really see, that attachment to any condition, any ideal — fear, guilt, a sense of yourself as anything good or bad — is dukkha. This is seeing the suffering, the unhappiness, the feeling of incompleteness through this habitual attachment to conditioned phenomena. More and more you trust in awareness. The awareness allows you to see and to let go, and you have to realise awareness for yourself. It isn’t something you create; you can’t make yourself into ‘an aware person’. That is another delusion. Awareness is a natural state, like being conscious; it’s normal. It isn’t a compounded state that depends on other conditions. It is so normal, in fact, so natural that the thinking mind can’t conceive it. That is why it’s undefinable, yet is recognisable. If I were to define space, for example, I could give you formulas, refer to various great scientists’ opinions about it and to all kinds of books. Yet, space is right here. What is the point in trying to define it? It is this! It is here and now. The same with consciousness — what is it? The more you try to think about it and define it, the more you just get caught up into proliferating views and speculations, when it is the natural state, it is just this. The point is to awaken to the way it is. From this awareness you have perspective on the conditioned realm. For many, the conditioned realm is the real world. They are committed to it and believe in it. Every society is committed to their conventional views of the world and the conditioned realm as ultimate reality. So you can see that the Buddha’s teaching is going against everything, really, because it’s a way of trying to cease grasping conditioned phenomena, and to cease being caught in conditioning and attachment which is the cause of dukkha, unsatisfactoriness, unhappiness. Ajahn Sumedho was the abbot of Amaravati Buddhist Monastery, England. The above is from a talk given by him on 8 August 2006 at the Leicester Buddhist Summer School. His books include Don’t Take Your Life Personally and Teachings of a Buddhist Monk. 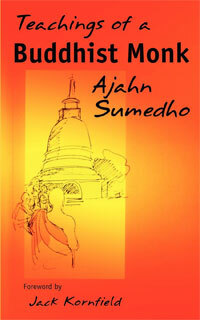 Click here for more Buddhist teachings by Ajahn Sumedho.